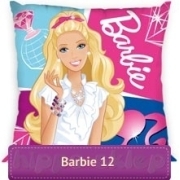 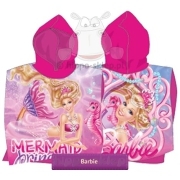 Bedding Barbie 12F licensed girls bedding with Barbie doll from The Barbie Diaries. 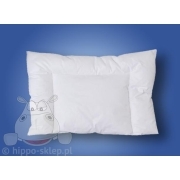 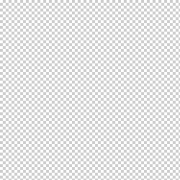 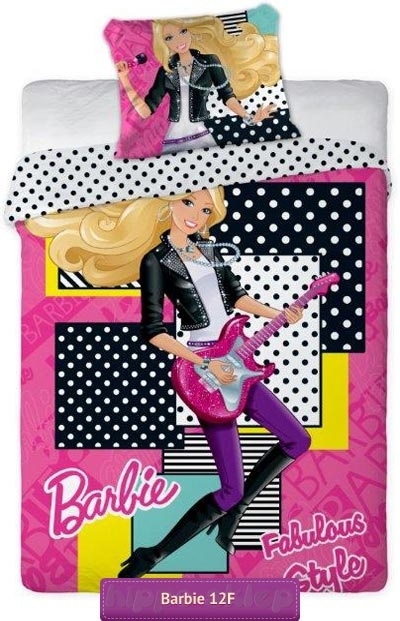 Bedding set contains single duvet cover size 140x200 cm or 160x200 cm and also 135×200 cm and 150×200 cm with one pillowcase size 70x80 cm. 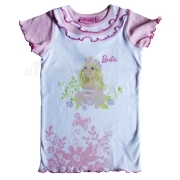 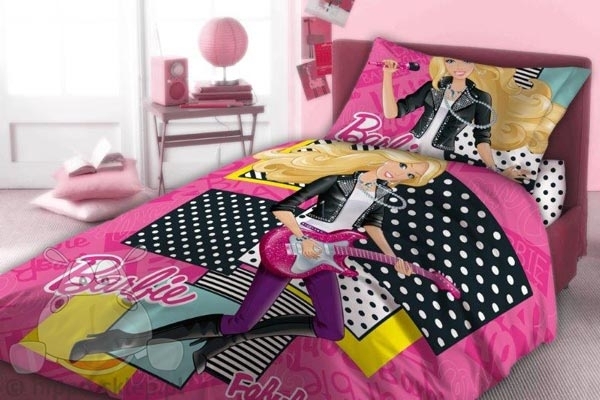 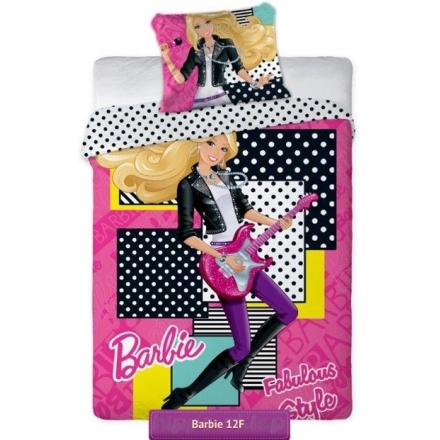 Barbie bedding set made of 100% cotton, certified according to Oeko-Tex 100 in pink colors with large character of Barbie doll playing guitar.